Spacious 5 bedroom / 3 full baths with new paint inside and out on a great end of cul de sac location. Large, 3 car garage. Open floor plan throughout with cathedral ceilings. Faces North for an great amount of natural light. Newer sunscreens and security door to allow fresh air inside. Master upstairs with two walk in closets. Gorgeous pool with relaxing, remote controlled waterfall, pavers and fully landscaped backyard. 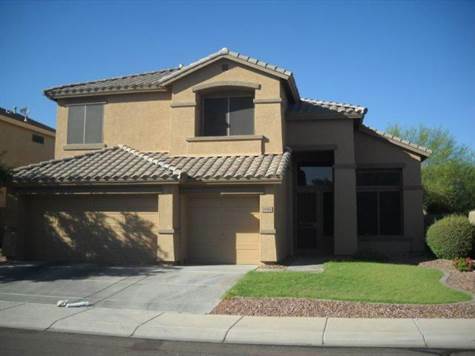 HOA, Pool maintenance and landscaping included in $1900/mth rent. No smoking allowed.. All appliances included. Soft water system as well as reverse osmosis for fresh water drinking. Close to shopping, parks and schools. 2847 sq ft.